Tomatoes, Usulphured Molasses, Red Wine Vinegar, Soy Sauce, Red Pepper Sauce, Natural Hickory Liquid Smoke, Garlic, Herbs, Spices, and Xanthan Gum. 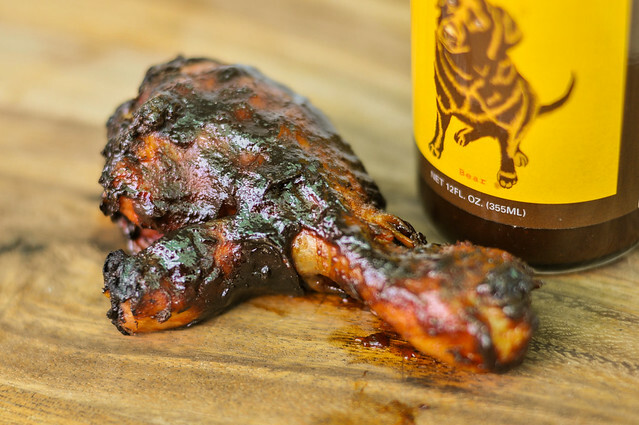 Mad Dog doesn't back down with its big bite of molasses, spice, and smokiness that may be slightly bitter out of the jar, but is tamed with a better balance after being cooked. David Ashley learned a love for cooking with high quality, natural ingredients while serving as the General Manager of Alice's Restaurant—made famous by Arlo Guthrie tune of the same name. 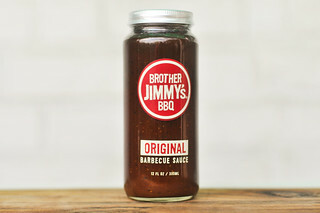 In the mid-1980's, David started developing his first barbecue sauce in his home kitchen in Brighton, Ma. As the story often goes, his sauce was such a hit with friends and family, he took the leap to commercial production five years later, after a little nudging from his wife. Today, David serves as the head of the Ashley Food Company in Sudbury, MA, who produces 28 different sauces—three of them are barbecue sauces—which have gone to win over 50 awards nation-wide, as well as accolades and shout outs on numerous television shows, magazines, and other media. Special thanks goes out to Meatwaver Don sending me this sauce to test out. A extremely heavy molasses mixed with the briny smell of soy sauce dominates the aroma. The tomato base barely comes through, but a more natural tomato can be detected, rather something along the lines of sweet ketchup. 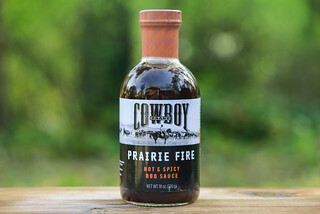 There's only the slightest hint of vinegar, with a strong smokiness that's mainly responsible for the light singe on the nose this sauce produces. Mad Dog weighs in right on the middle of the thickness scale, and has a smooth, syrupy consistency. From a suspended spoon, the sauce first flows off in a steady, quick running stream, then slows to a drip, and ends with a heavy coating of sauce left clinging. Through the opaque, dark brown hue, it's hard to make out a lot of spices, but some could be seen as the sauce feel from the spoon. 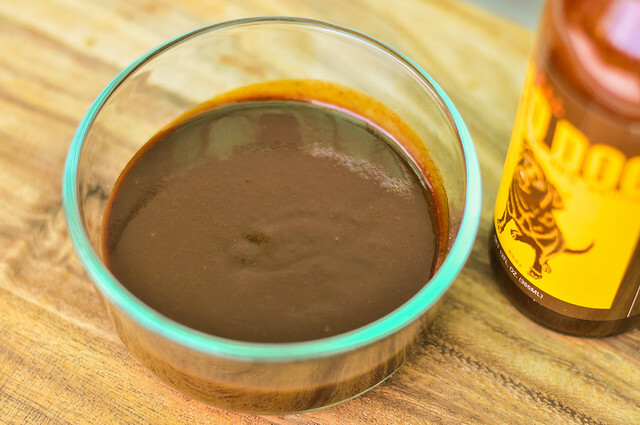 Molasses is strong and deep here, forming the main flavor profile that sticks from start to finish, creating a sauce that's sweet, but not at all sugary. Through the molasses, a heavy tomato base is also present, along with salty soy sauce. As the sauce sits on the tongue, the spices start to come out. At first you get a faint hint of garlic before the heat picks up. Then as the mouth starts to burn, a bitter smokiness ends the progression, leaving a spicy, slightly acrid aftertaste. This sauce coated the chicken well, baking in over indirect heat, then crisping, but not burning, in spots over direct heat. The flavor still was dominated by the molasses, which was in a bit better balance with the tomato, pushing back some sweetness. The bitter taste I found a little off putting out of the jar was muted, and as the heat built up after each subsequent bite, the spices ended up stealing the show. Mad Dog doesn't back down with its big bite of molasses, spice, and smokiness. Unfortunately this combo came out a little too strong out of the jar with a bitterness at the end that bothered me. After cooked, the sauce was tamed and achieved a better balance. Because of this, I recommend it mainly as a basting sauce. Its bold flavors could hold up against any meat, but may overshadow some lighter contenders. So I'd recommend this for things like pork, lamb, or beef. 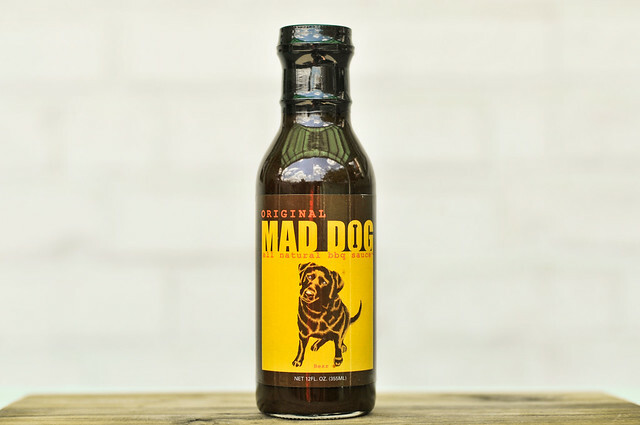 Personally, the deep molasses sauces aren't my cup of tea, but if they're yours, Mad Dog is a strong one that isn't afraid to be bold and in your face. I love this sauce. It's easily one of my favorites, if not my absolute favorite. 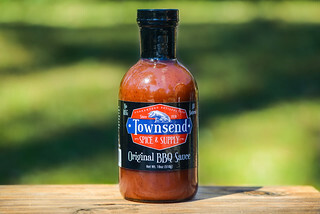 All BBQ sauce should be judged after it is applied to the meat as it's smoking, not right out of the jar. The smoke either elevates the flavors or kill them.